We are requesting your help. We are Frimet and Arnold Roth of Jerusalem. We produce This Ongoing War: A Blog, and we are the parents of Malki. 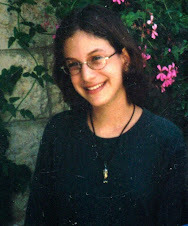 Our daughter was one of the innocents murdered in the August 9, 2001 Hamas attack on a pizzeria in the heart of Jerusalem. 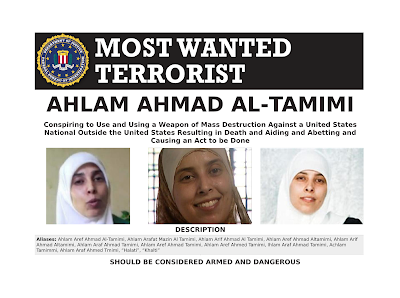 The mastermind of that atrocity is a Jordanian woman, Ahlam Tamimi - born in Jordan, educated in Jordan, lived in Jordan until shortly before being shunted off by her family to the PA-controlled areas on the west bank of the Jordan. Israel set her (and 1,026 other Palestinian Arab terrorists) free in the catastrophic Shalit Deal in October 2011. She has been living in her home country Jordan ever since then apart from frequent speaking tours of other Arab countries. In Jordan and those Arab countries, she is a celebrity because of her terrorism. In Jordan, she enjoys patronage and protection from the king and the government and the parliament. The US government announced serious Federal criminal charges against Tamimi in March 2017. It sought her immediate arrest and her extradition to stand trial in a US Federal court. Jordan immediately rebuffed the request. This is notable because an extradition treaty has existed between Jordan and the US since 1995. The US authorities tell us they have no doubt it is fully in force. But Jordan, which has willingly extradited several people to the US since the treaty came into effect, says it is invalid and unconstitutional under Jordanian law. (Jordan has no problem demanding the extradition of fugitive Jordanian criminals back to Amman - they are in the midst of such efforts right now with the United Kingdom, not for the first time.) We believe strongly and on a firm basis that Jordan's claims about the validity of its 19995 treaty with the US are insincere and untrue. We have campaigned publicly and privately to bring Tamimi to US justice under US law (the key is to recall that our daughter was a US citizen) since she was permitted to walk out of her Israeli prison cell six years ago. 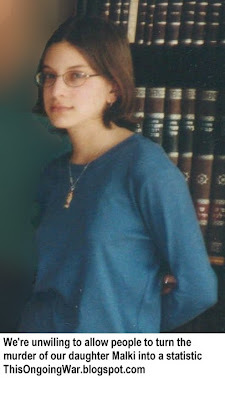 She spent just 8 years of her 16 life-terms sentence in an Israeli prison. This is manifestly unjust, but it will take effort and determination to change that outcome. To achieve that, we need your help (not money, not petitions - actual help). This is not the time to disclose publicly the road-blocks and official obstructiveness we are encountering. We feel we are getting closer to justice, but we need wide public support. To help that happen, we have decided to create an email list (NOTE: this is not a petition) through which we will keep supporters in the picture. Please sign on. 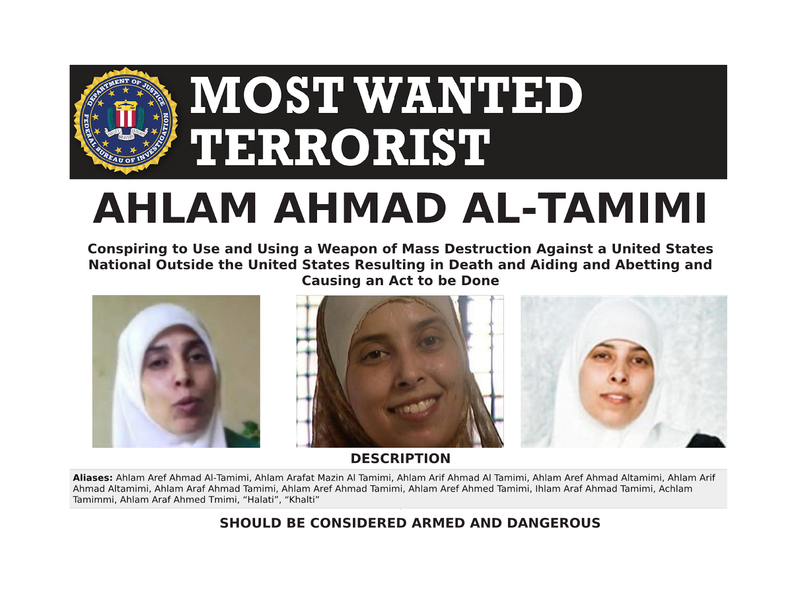 We will use it to share information that may help bring the fugitive murderer Tamimi - now "hiding" in plain sight in Jordan just an hour and a half drive from the scene of the terror attack in Jerusalem - to justice.